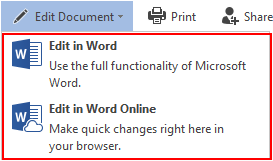 Word Online is the online version of Microsoft Word that allows users to create professional looking documents without having to install Microsoft Word onto their computer. 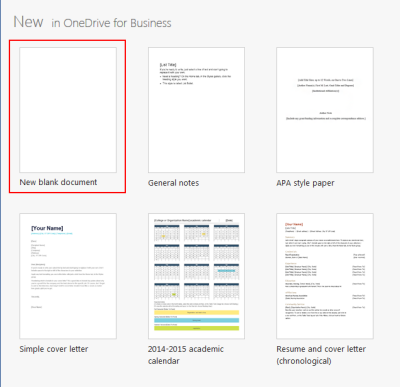 It also is linked to OneDrive, meaning you can easily save and share these documents with others online. 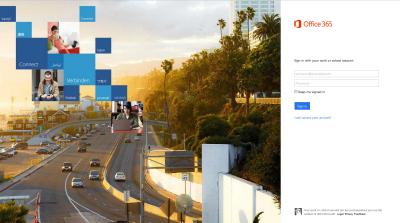 Step 1:Go to the Office 365 homepage via your preferred web browser. For instructions on how to log on to Office 365, refer to the Office 365 Basics article. Step 2:Once you've logged on, click on the Word Online icon to access Microsoft Word Online. After clicking on the Word Online icon, select the type of document you wish to use. B. Choosing one of the provided template designs. 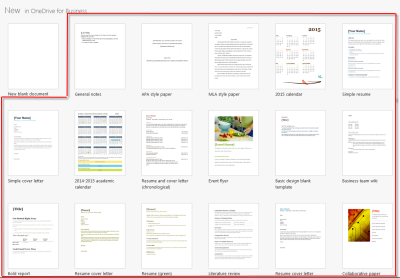 Once you've created a document, you can now start editing your document. With Word Online, you can add and edit text simply by typing on your keyboard. Located on the toolbar on the top of your screen, otherwise known as "The Ribbon", are the font options for your document. Step 1:Navigate through the different types of fonts using the indicated drop-down arrow. Step 2:Select the font you wish to use. Step 3:Adjust the font size by manually typing a number into the box, or by choosing a number from the list of available font sizes using the indicated drop-down arrow. You can also incrementally increase or decrease the font size of your text by using the indicated buttons on The Ribbon. (Optional) Step 4:Bold, italicize, or underline your text by highlighting the text you wish to change and clicking on the indicated buttons. You can add a strike-through to your text, add subscripts and superscripts, change the font color, as well as highlight your text by selecting the text you wish to change and using the indicated buttons. Note: The aforementioned steps are for adding text to a newly created document. If you have closed out of your document and are opening it at a later time, you must first select Edit Document and then either Edit in Word (if you have Microsoft Word installed on your computer) or Edit in Word Online. Because Word Online is web based, you no longer have to worry about saving your documents. Word Online automatically saves your document for you as you type, and stores it in your One Drive. For instructions on how to access your document in your One Drive, please refer to the Navigate/Access Files article in the OneDrive section of the Knowledgebase. Note: You can also rename a document by clicking the name of the document at the top of your screen and typing in whatever you would like the name to be. B. Download a Microsoft Word copy of the document to your computer. C. Download your document as a PDF file. D. Download your document as an ODT file. For additional assistance, please refer to this help guide.